WITH RENTERS INSURANCE, NYC AND ROCKY POINT RENTERS ALIKE CAN PROTECT THEIR PERSONAL POSSESSIONS. Call The Clausen Agency, Inc. for details. Put The Clausen Agency, Inc. to work for you! Did you know that a free, no obligation quote for New York renters insurance is only a click or phone call away? It’s true! 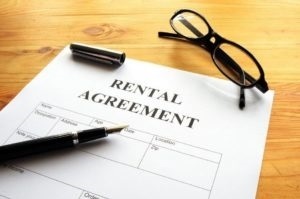 Whether you are a first time renter or are looking for a lower premium on renters insurance, NYC and Rocky Point renters are encouraged to speak to an The Clausen Agency, Inc. representative. Also, something we want all of our clients to know: your landlord’s insurance is not enough! While your landlord has insurance for your rental, it typically only covers the structure of the building you rent. This means that without the proper renters insurance, NYC and Rocky Point renters will not have any liability or personal property protection. This constitutes a huge gap in coverage, one that we want to make sure no one has. Because of this, The Clausen Agency, Inc. would like to quote you on New York renters insurance. With one of our policies, you can be assured that your renter’s insurance policy will be comprehensive and affordable. So speak to a representative from The Clausen Agency, Inc. today by contacting our agency. It only takes a few moments, and it could end up saving you lots of money in the long run.